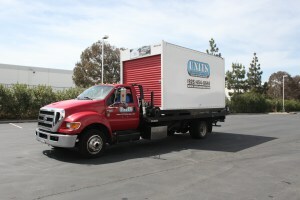 UNITS Moving and Portable Storage has been proudly serving the Bay Area for more than 15 years. We want to be your one-stop shop for your moving and portable storage in Richmond. Our dedicated staff is here to work with you for your moving or storage needs. UNITS portable storage containers come in a variety of sizes depending on the size of your move or storage needs. The secure designed keeps the elements and rodents outside, and everything inside safe. Our climate controlled portable storage units can be dropped off in front of your property for you to load at your convenience. Whether you need a few days to load it or even several months, we work within your schedule. If you need additional help, we can also have a team of movers at your door to help you load and unload. Once you have finished loading the unit, we can transport everything to your new home or business, or we can keep it secured in one of our climate controlled storage facilities. 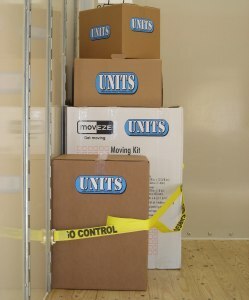 Moving or reallocating for storage can be stressful, so let UNITS take the stress out of the process for you. We are more than just a moving and storage company. We want to be your partner throughout your move or with your long-term storage. Portable storage in Richmond just got a whole lot easier with UNITS. Our custom sized portable storage units can work for moving things out of a small attic, or moving everything out of a five bedroom house. Regardless of the size, our containers are built the same way to provide our customers with safe and secure moving and storage options. No matter the weather, your belongings will be safe inside our waterproof and climate resistant containers. You provide your own lock so that only you have access into your container, so you will never need to worry about someone accessing your unit if they are not supposed to. Support from UNITS does not stop there. If you discover that you require a larger container, need more time, or need some extra help, we are just a phone call away. We will swap out containers, work within your schedule, and can have a team of experienced movers to help you. To save you time, we have the space estimator that can help us determine what would be the container to match your needs. But no worries, if you need something bigger or smaller, we will always accommodate based on your needs. Storage facilities can have a bad reputation as being a cramped system of storage garages that easily accumulate dust, debris, and other outside trash. 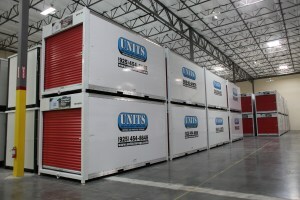 UNITS storage facilities use climate controlled systems to ensure the safety of our customer’s belongings. All of your things will stay packed inside your containers, just as you left them. We then place your container inside our facilities. Our storage facilities are set up so that dust, debris, water, insects, and rodents stay out. We want you to have the same peace of mind that your items will be safe as you would if they were safely stored in your own home. Rest assured knowing that UNITS has your moving and storage in Richmond under their care. Sometimes we need our home to feel more open and a lot less cluttered. That is where portable storage in Richmond with UNITS comes in. When the holidays come around, sometimes you need some extra space for decorations, or maybe you need to move a large piece of furniture to make room for your holiday guests. UNITS can store whatever you need out of the way so you can celebrate with those close to you in a beautifully decorated and open home. Remodeling your house can be a hassle as you try to shove all your furniture into one room to make space for the renovations. Use a climate controlled UNITS portable storage containers. You can leave the container in front of your home for the duration of the remodel so that you can move at your own pace. Do you own a business and need to make room for inventory? Store items that might not need to be on the shelves for easy counting. Organize your inventory to make space for new products and you will have it down faster than ever before. The best thing about UNITS is that we are locally owned and we understand the complications and excitement that comes with moving around the Bay Area. We want our Richmond portable storage to be the only place you need to go to reduce the hassle of moving and packing. We offer expert tips and guides to help you move with as little stress as possible. In addition to moving and storage services, we also sell moving supplies such as boxes and dollies. There is no need for you to make multiple trips to self-storage garages, and you will never have to worry about packing and unpacking as you move from home to storage to a new home. You will pack up your custom portable storage container once and then unpack when you are ready. Check out our blog for some additional packing tips, including how to pack a flat screen television and a guide on how to declutter before your move. At UNITS, we put customer security and satisfaction as our number one priority. For this reason, you will never have your call picked up by someone from a call center. Our friendly customer service representatives are standing by to hear from you and can provide you with all the information you will need. Call 925-454-8648 to get a quote today! We service the entire Bay Area including portable storage in Fremont, portable storage in Oakland and anywhere else in the Bay Area.